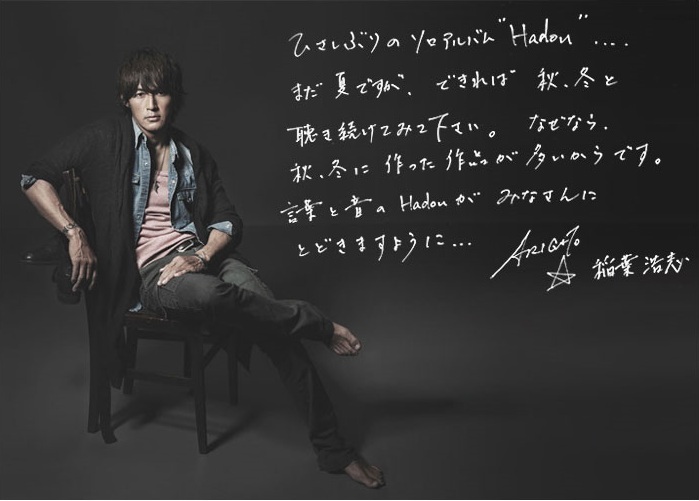 After a long time, I’m releasing a solo album, “Hadou”…. Even if it’s still Summer, please keep listening to it in Autumn and Winter. That’s because most of this work was made during Autumn and Winter.